The chairman of the House Intelligence Committee said on Saturday that calls for a special prosecutor to investigate possible ties between Donald Trump advisers and the Russian government amount to a “witch hunt” and resemble the McCarthyism of the 1950s. “At this point we can’t go on a witch hunt against any American people…just because they appeared in a news story,” California Rep. Devin Nunes told reporters at California Republican convention in Sacramento on Saturday, according to the San Francisco Gate. “I have to have some evidence that some American actually had contact with Russians. And I don’t have that now. This is almost like McCarthyism revisited,” he added. A Republican congressman who aligned with President Donald Trump during the 2016 campaign called Friday for a special prosecutor to oversee the investigation into Trump associates' contacts with Russia. Rep. Darrell Issa said on HBO's "Real Time" that Attorney General Jeff Sessions — who Trump appointed as the nation's top law enforcement officer — should not handle the problem. 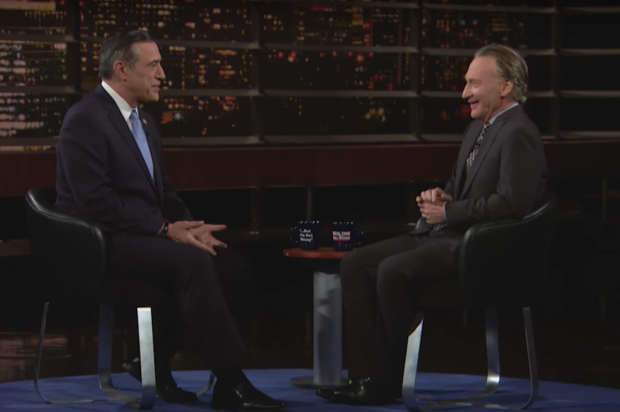 "You cannot have somebody, a friend of mine Jeff Sessions, who was on the campaign and who is an appointee," the California Republican said in response to a question from host Bill Maher. "You're going to need to use the special prosecutor's statute and office to take — not just to recuse. You can't just give it to your deputy. That's another political appointee."